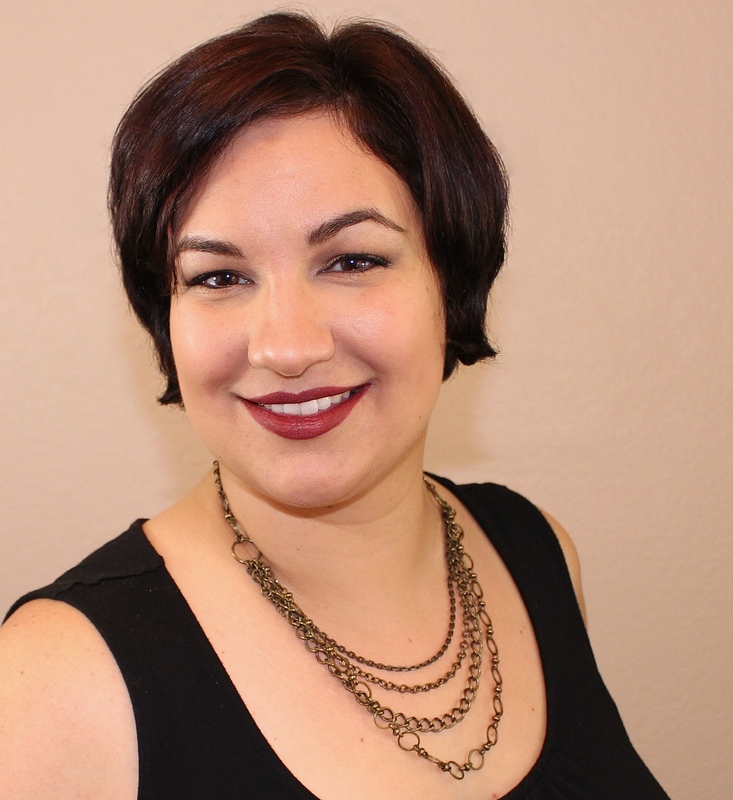 Girly Bits Spills the Beans about Vegas on Social Media! Good afternoon, dear readers, and happy Friday! I am excited to finally be able to share all the details in this post with you today, so let me skip the chit chat and get to what you really want to hear about anyway! If you've been following the indie polish community for at least a year now, you might already know that Girly Bits Cosmetics released a limited edition shade, What Happens in Vegas....Ends Up on Facebook last year to commemorate Pam's trip to Las Vegas for Cosmoprof North America. 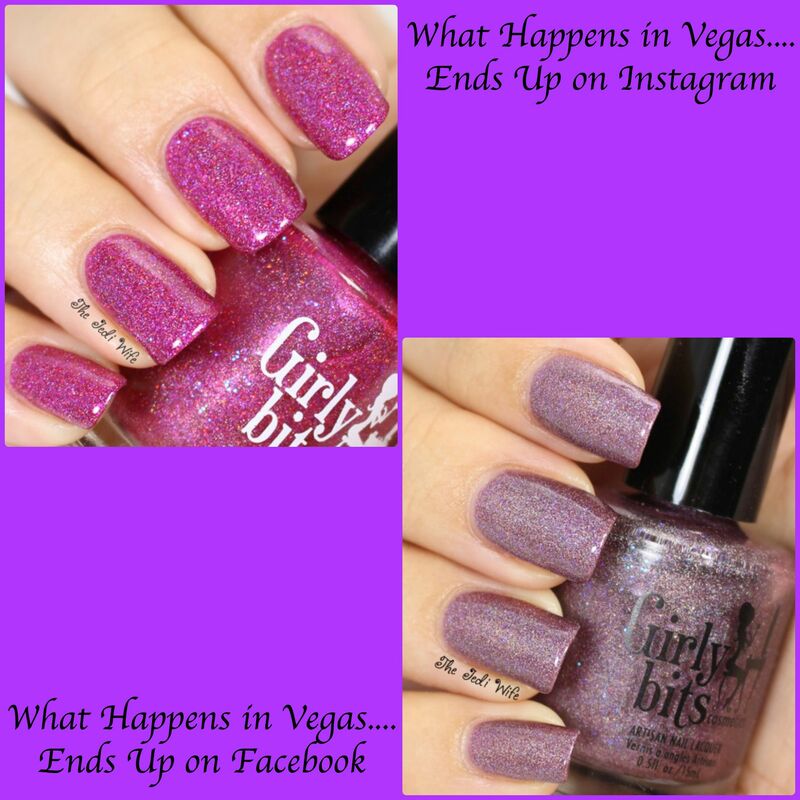 In honor of CPNA for 2014, Pam will be selling another polish: What Happen in Vegas....Ends Up on Instagram! I have swatches of both these gorgeous polishes to share with you, and you're going to want to stay for the full post because there is even MORE awesome news to share! Let's party! 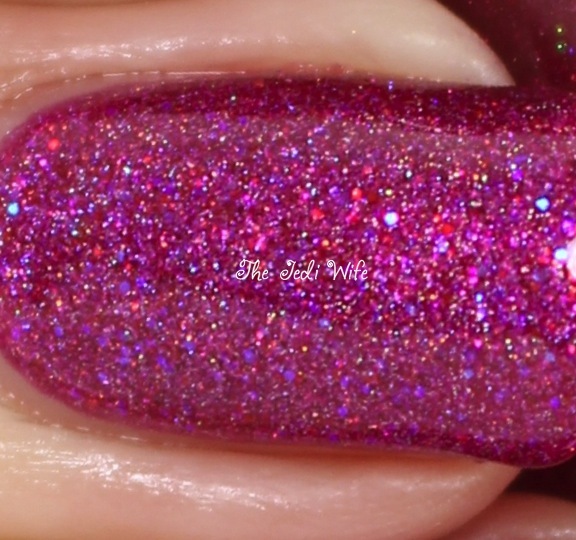 WHIVEUOIG is a bright raspberry-fuchsia scattered holographic polish, with flashes of glowy purple microglitter, and bright pink micro glitter. Very flashy and blingy, just like Vegas. WHIVEUOIG was created exclusively for Sparkle & Wine, a blogger/brand/stockist event co-hosted by Girly Bits and KBShimmer at Mandalay Bay while everyone was attending CPNA this year. Now you can have this stunning polish! It will be available for a limited time only, from August 21st to August 31st. You do not want to miss out on this beauty! I used three coats plus top coat for these photos. If you missed out on last year's polish, you are in luck! 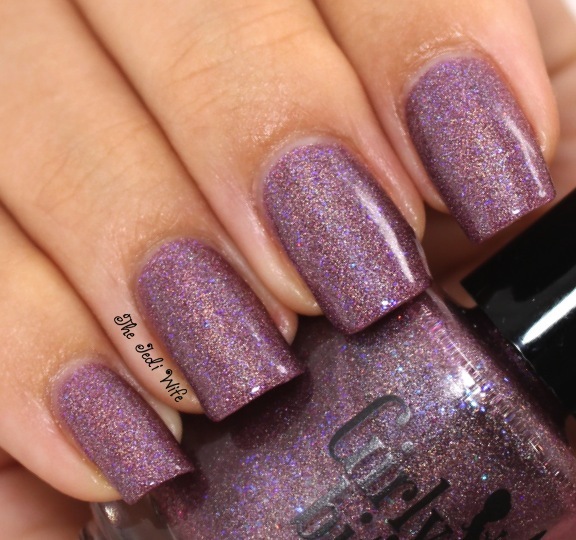 Girly Bits is re-launching last year's exclusive CPNA polish for a limited time! 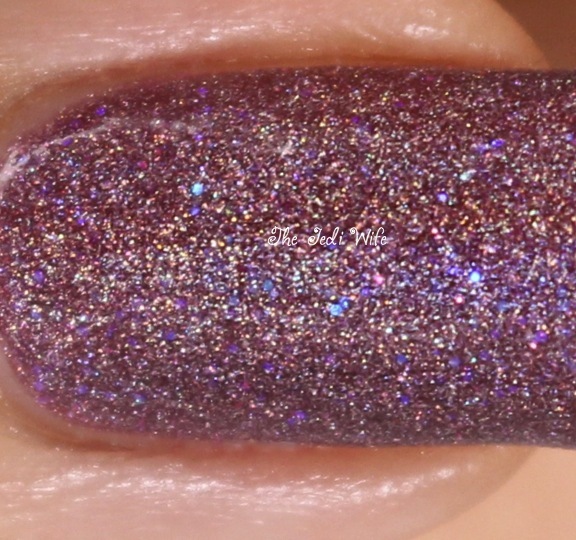 WHIVEUOFB is a medium plummy holographic polish, with flashes of glowy purple microglitter. WHIVEUOFB was created exclusively for bloggers Pam met up with while attending CPNA in 2013 and was available for sale shortly after the show. It was created in limited quantities, and it sold out within minutes. Girly Bits is re-launching this gorgeous shade in case you missed it! It will be available for a limited time only, from August 21st to August 31st. 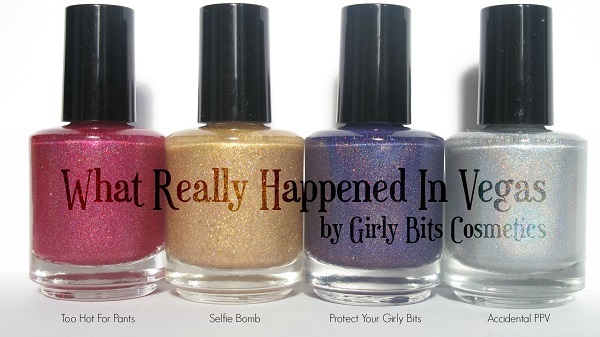 In addition to these gorgeous polishes, Girly Bits is also releasing a Vegas inspired collection! The What Really Happened in Vegas Collection will be available for purchase on August 21st as well! CPNA is held in Las Vegas every year in the middle of July. Even though everyone likes to say "it's only a dry heat", 100 plus degree days is still hot, and definitely too hot for pants! Dresses and maxi dresses were worn by a lot of us while there! Selfie Bomb was inspired by a humorous moment at the Sparkle & Wine event: Linda, from NailVinyls was attempting to photograph Pam and Missi from DIFFERENTdimension using her phone. She inadvertently flipped the camera app to take a selfie without realizing her error, thereby selfie bombing their picture. I love that Las Vegas and all Pam's shenanigans has been such an inspiration for her! She has come up with some amazing polishes, and I can't wait to see them in person! The What Really Happened in Vegas Collection will be launching August 21st at noon EDT, and each polish will be sold individually at $12 a bottle. If you want the entire 4-piece collection, you can save money by shopping early: if you buy this whole collection by August 31st at 3pm EDT, you can save $4 off the normal purchase price (pay $44 instead of $48). I know I'm excited about all these and want them all! Which polishes are you most excited about? I'd love to hear from you!